What is a Brand Identity and Why Does it Matter? You may hear the term “brand identity” and have a vague idea, but not a clear understanding of what that means. You’re not alone. Most people couldn’t give an explanation of what a brand identity is. It involves the logo, so why not just say logo design? There is a big difference. My goal is to help you understand the difference and how it impacts your bottom line. When you think of Coca-Cola, do you picture their logo? Probably, but you also think of red and white, script lettering, brown, fizzy liquid, bubbles, a brown bottle, happy faces, refreshment, and joy. We could go on and on with examples — brands such as McDonalds, Nike, Target, Starbucks and others that have invested in developing a complete brand identity and reaped the reward of recognition, association, and loyalty. A brand identity is the combination of the visual elements including the name, logo, tagline, voice, color palette, image style, typography, textures & patterns, iconography, packaging and collateral. All of these elements work together to form a visual system. An effective brand identity must be implemented creatively and consistently over a period of time to make an impact on people’s minds. 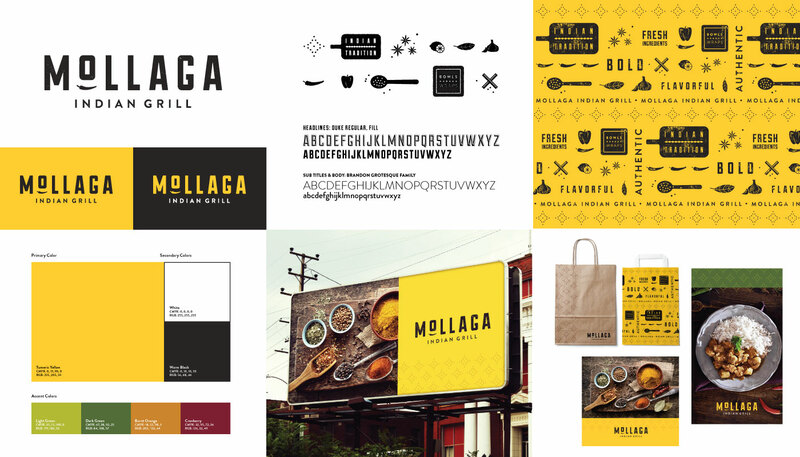 Some of the elements designed for the Mollaga brand. What makes a brand identity effective? 1. Accuracy. Does your branding communicate the right message about who you are and what you offer? 2. Creativity. Does your branding pique interest or is it just a bland, cliche and forgettable? 3. Consistency. Does your branding look the same everywhere it’s applied? Does it form a cohesive, intentional look that people can come to recognize and appreciate? Whether or not you’ve ever thought about this or put any focus on it, your restaurant has a brand identity. It may not be truly representative of your values and it may not be consistent, but it’s there. You broadcast it to your potential customers every day. Logo, website, business cards, stationery, collateral, signage, social media posts, etc. Whatever is out there, be it accidental or intentional, is how your brand is represented to potential customers. For more on this, read 3 Ingredients of an Effective Restaurant Brand Identity. Can brand identity affect the bottom line? Many times a potential customer will see your logo and branding before they set foot in your location, taste your food or talk to your staff. It is the first touchpoint in converting the general public into a loyal customer. Whether or not they give you the chance will be greatly affected by your branding. The average person is bombarded with around 3,000 brands every day. That seems like an overwhelming number to compete with. The good news is that there is a very small percentage of restaurants that are actually designed well. When you see a restaurant with an interesting brand, it stands out. If your competitors are doing well here, then you can’t afford not to invest here. If your competitors aren’t doing well here, then you have that much more to gain from your investment. 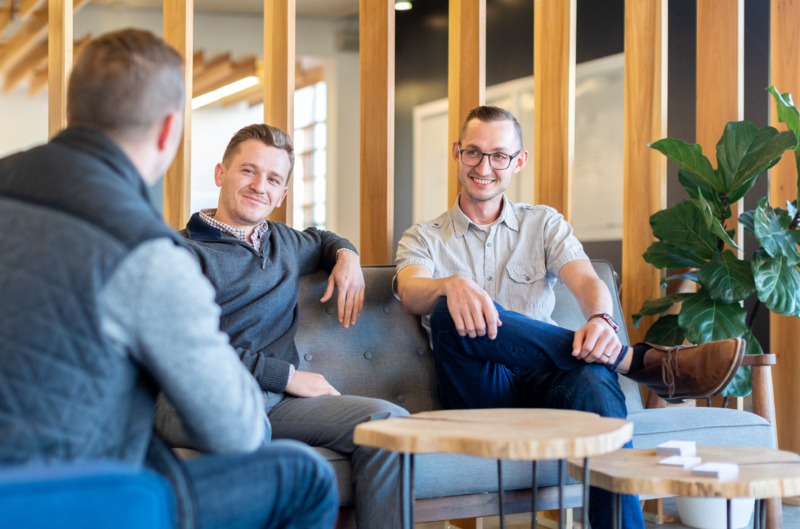 In either case, you have an opportunity to connect with potential customers and build trust and loyalty by developing an accurate, creative and consistent brand identity. The presentation is huge. If a potential customer doesn’t perceive you to be interesting and trustworthy, they won’t give you a chance. Take some time to evaluate your current logo and brand identity elements. Does it accurately communicate who you are? Is it creative and memorable? Is there consistency in all of your brand touchpoints?